Over the years, Chevrolet has been known for making some of the most exceptional pickups on the road. Able to withstand harsh conditions and some of the most rugged terrains, these new Chevy trucks are no exception. 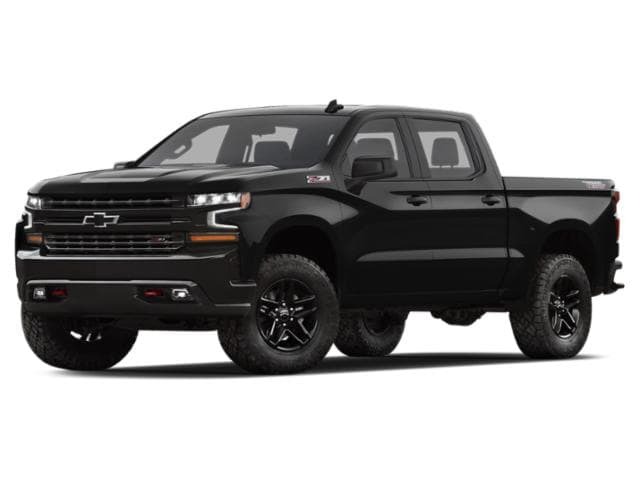 If you’re tired of your old pickup and are looking for something far more efficient and powerful, then be sure to check out the new Chevy Silverado 1500 for sale at Ewald! Out of all the Silverados put out by Chevrolet in the past, many are calling this one of their best pickups yet. 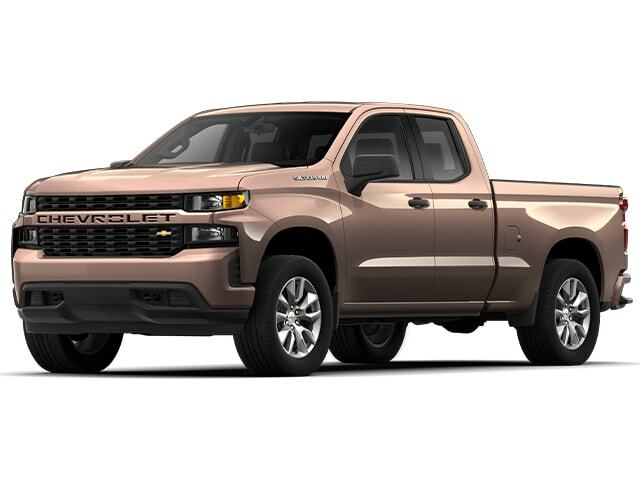 In addition to offering more efficiency, these new Chevrolet trucks in WI also provide more safety features allowing you to drive with peace of mind. 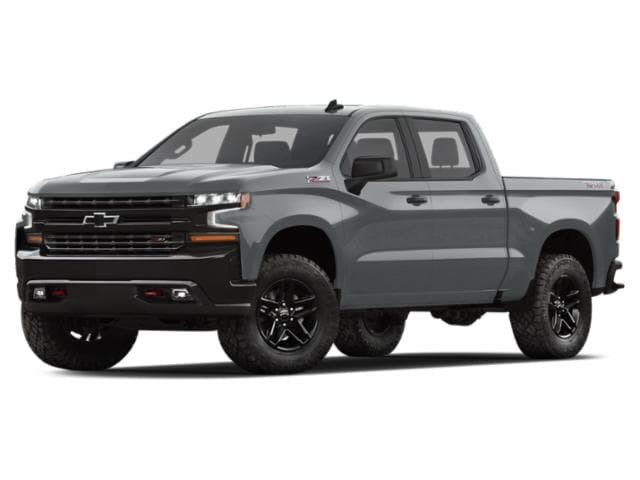 To get the specifics you need to truly decide if these new Chevy trucks for sale are for you, we’ve outlined everything that a new Chevy Silverado 1500 can offer. Different drivers all have separate needs and their own individual budget. Chevrolet understands this and has allowed the choice between 6 different powertrains in the new Chevy Silverado 1500. 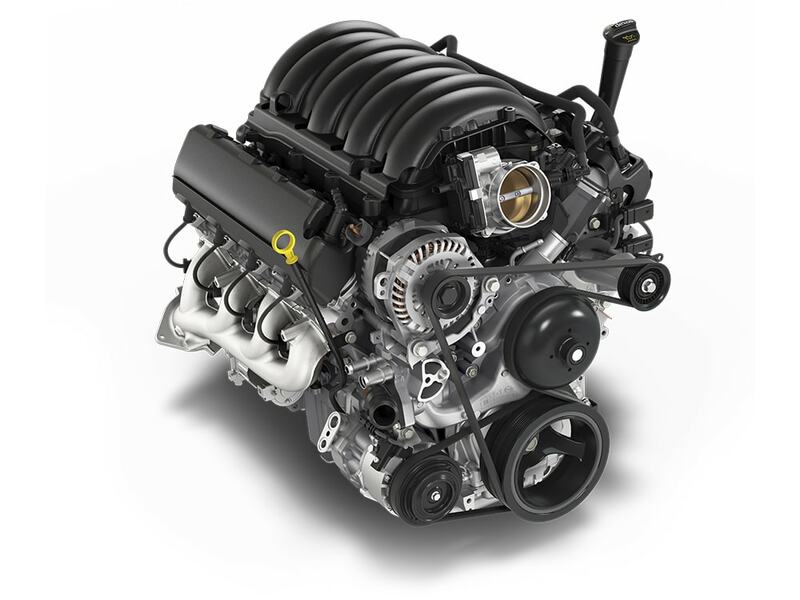 From the power of the 6.2L V8 to the efficiency of the 5.3L ECOTEC3 V8 with dynamic fuel management, you’ll have options. Able to churn out 355 horsepower, the 5.3L V8 with DFM is still capable of getting a respectable 24 MPG on the highway. 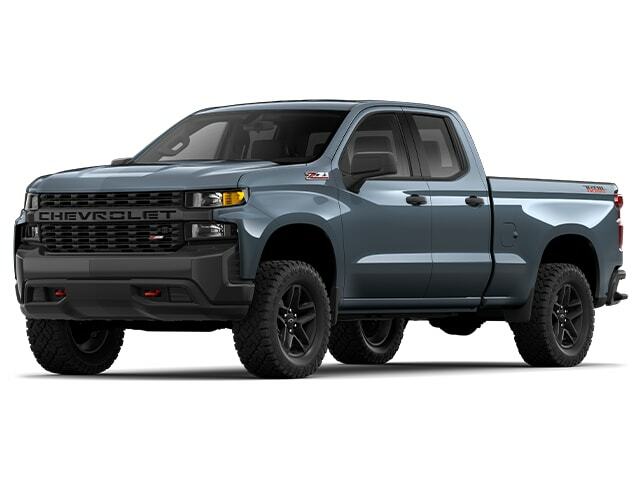 However, the engine isn’t the only thing added to the new Chevy Silverado 1500 for sale to attain optimum efficiency and performance. 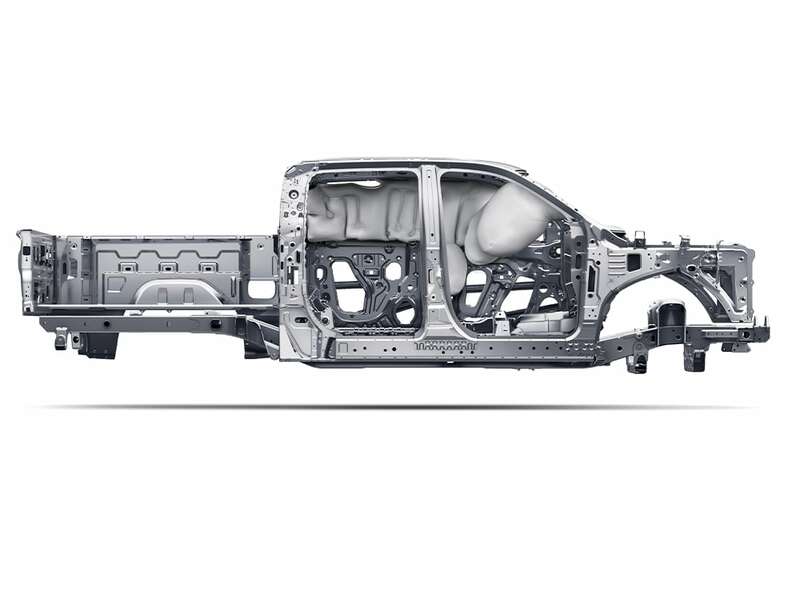 The frame and bed are both made from high-strength roll-formed steel, making it tougher and lighter than previous Chevy trucks for sale. As a result of this stronger steel, you’re capable of towing up to 12,100 lbs with the 6.3L V8. 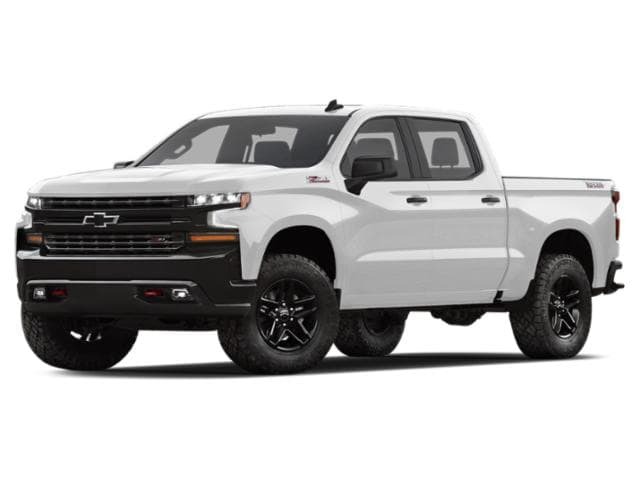 Aside from towing, those getting into one of these new Chevy trucks for sale will have 30% more capacity in the bed than any other makes or models on the road. Whether you need your pickup for utility or for hauling a camper, another excellent performance feature offered is the Drive Mode Selector in the Silverado. This allows you to choose between various modes such as snow/ice, off-road, tow/haul, and many more. 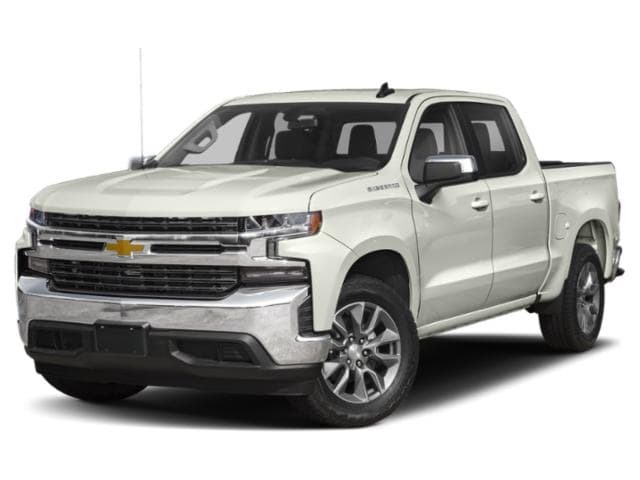 For a powerful and robust vehicle without having to sacrifice fuel efficiency, the new Chevy Silverado 1500 for sale remains an excellent choice. Chevrolet has made sure to include all the latest tech offered by them in these new Chevy trucks. An example of this would be forward collision alert which helps to warn you if a driver is far too close to the front of your pickup. To further ensure you’re protected from a collision, our forward automatic braking will automatically apply your brakes if it senses a low-speed collision. However, the safety technology in the new Chevy Silverado 1500 for sale in Milwaukee at Ewald has you covered from all angles. With both side, rear, and cross traffic alerts, you can have all your blind spots covered and travel safely. This new pickup also makes towing safer by adding rear trailer and side view cameras. New trailering technology can also give you real-time updates on your trailers temperature and tire pressure. 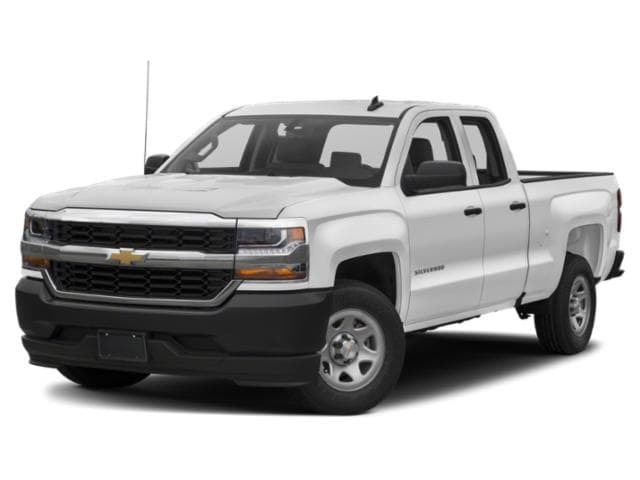 Why not make driving both safer and more relaxed with all the safety features offered in these Chevrolet trucks in WI? 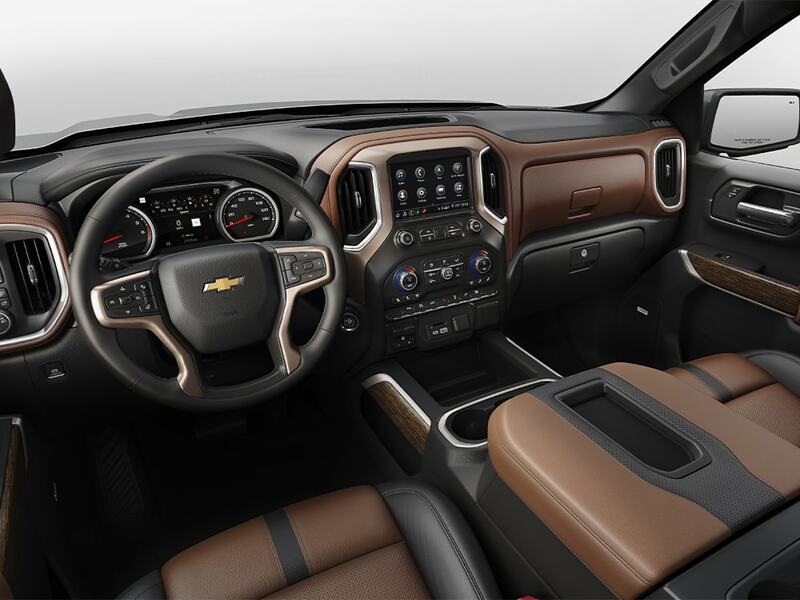 If you think these new Chevrolet trucks in WI look sleek and rugged on the outside, just wait until you check out the interior. 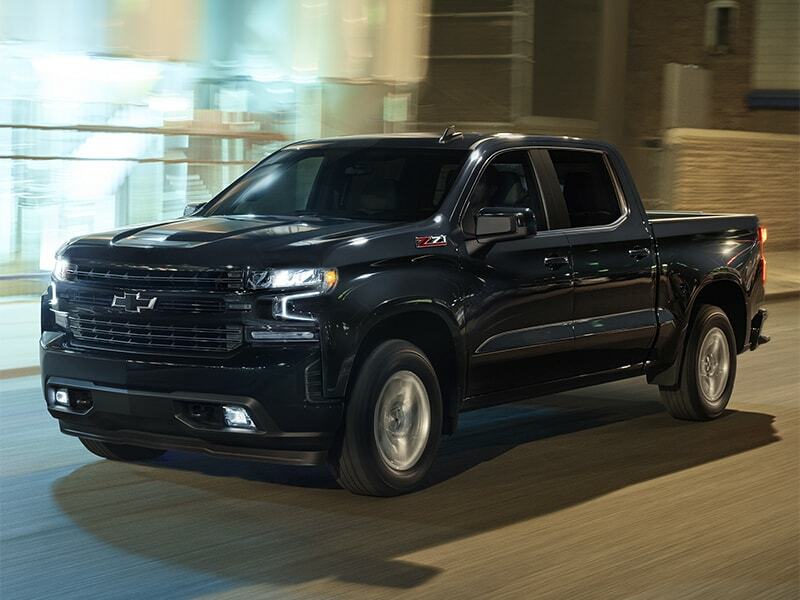 Inside the 2019 Silverado 1500, you’ll find a trove of exceptional features that make driving both more fun and convenient. You’ll feel as though you’ve stepped into the future when you see the 15-inch heads up display that reflects all your information on your windshield. This means you won’t have to worry about taking your eyes off the road in addition to having this awesome modern feature. With both Apple CarPlay and Android Auto equipped in these trucks, you can have Bluetooth access when it comes to both calling and playing music from your smartphone. You will even have the option to equip a 4G LTE Wi-Fi hotspot in a new Silverado for sale near you. Aside from this, the new Chevy Silverado also offers substantially more cabin space than previous models before it. All in all, this new Silverado is by far the biggest and best truck to come from Chevrolet.